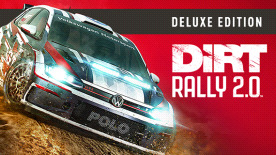 OVER 50 OF THE MOST POWERFUL OFF-ROAD CARS EVER BUILT - Tear through environments with an iconic roster of historic and modern-day rally cars, VW Polo GTI R5, Mitsubishi Lancer Evolution X & Citroen C3 R5. Also take on the challenging power of the Chevrolet Camaro GT4.R. 6 REAL LIFE RALLY LOCATIONS -Take the wheel through the stunning environments of New Zealand, Argentina, Spain, Poland, Australia and the USA. DEVELOP YOUR OWN TEAM - Create a team, hire your staff and expand your garage of vehicles as you choose.